Collectables are such a popular pocket money toy at the moment. We were introduced to our first collectable last month and now we get the chance go try out another this time the all new Micro Motorz. HTI toys brand new collectable is ideal for vehicle lovers combining that with children's love of blind bags makes this the ideal collectable for racing car fans. Each set contains six suprises that help children to create and play with their new vehicle to make it ready to drive. 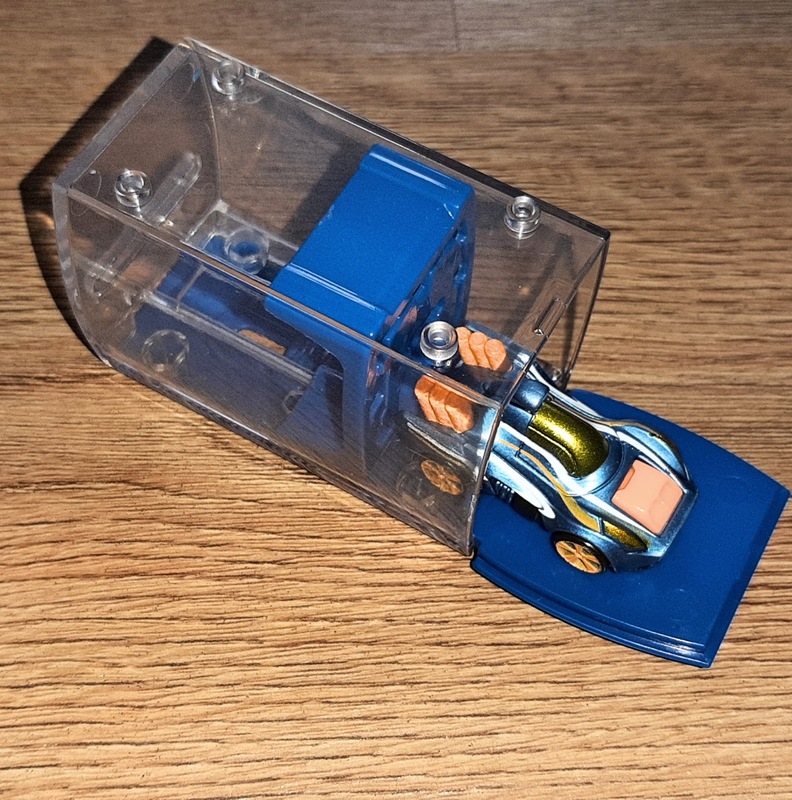 There are over 20 different Micro Motorz to collect in the first series, which means that children can build up a fantastic collection of super vehicles. 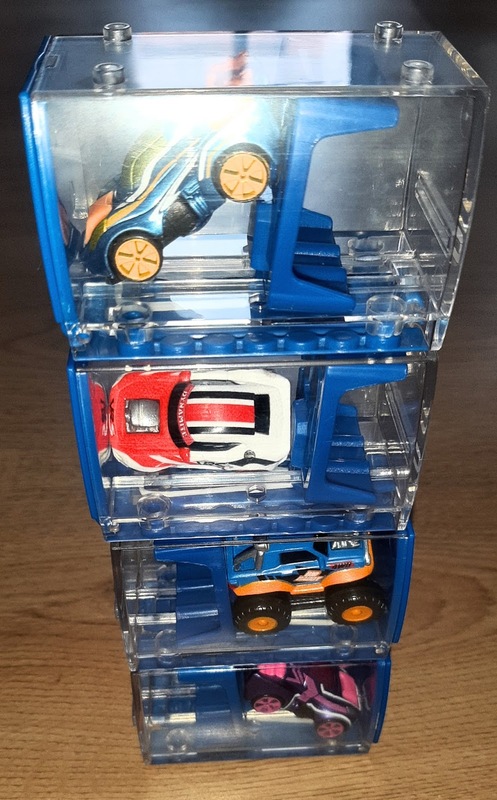 They come in a brightly coloured packet which when opened, revealed three plastic chambers, along with a sticker that indicates which of the 4 teams the car inside may belong to. You can then snap off the chambers one by one to reveal the surprises inside and most importantly find out exactly which vehicle you have received. I personally felt that there was a lot of plastic for such a small toy. Although I love the blind bag idea i feel that they could be a way to reduce the use of plastic. Maybe by coming up with a way of replacing the plastic chambers, so you can still have the blind bags inside. In the first chamber there is a tool for your vehicle along with leaflet that shows all the vehicles you can collect in series one . In the second chamber is a tuning accessory such as a engine or a spoiler. The last chamber is where you find the vehicle which is inside a plastic display capsule. The capsules can clip together with others like you can see in the photo above. The capsules also act as a launcher to send the vehicle speeding away. When we first started to follow instructions on how to put the launcher together we found it complicated to understand. I would recommend looking up on YouTube how to put it together as that what we did in the end for ease. I definitely feel they need to look at improving the instructions. Overall i feel they do look pretty cool and can be fun for children to unwrap. We found the launcher to be incredibly fiddly and hard to work though. We most likely won't be buying any more as Blake hasn't taken much interest in them. Although they are aimed at children 3 years and over I feel that they maybe more suited for school aged children. The Micro Motorz are aimed for children at 3 years and over and retail at £4.99. You can find them at most toy stores/ supermarkets and even Amazon. *We were given the Micro Motorz featured in exchange for a review, however all thoughts an opinions expressed are our own.